Japanese Maple Sale at Baltzer's! We've got so much good news for gardeners these days! Our friends Bob and Nancy Baltzer, of Baltzer's Specialized Nursery are having a sale on their gorgeous specimen maples. All non lace leaf maples in 20 gallon or larger containers are on sale for at least $25 off and some are marked down to $75! Bob and Nancy grow a wider variety of maples than anyone we know, and they care for them beautifully. 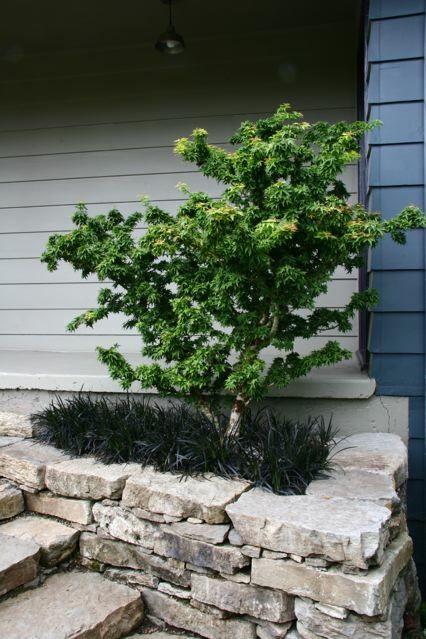 Aside from maples, the Baltzers also carry wonderful, unusual conifers and some interesting garden features. Their nursery is one of our area's little known treasures, and well worth the short drive to Pleasant Hill. Our friend Ginny is moving into town from her fabulous garden and farm in Creswell. In terrific news for garden treasure hunters, Ginny is having a huge yard/garden sale tomorrow, Saturday, May 14, to help her pare down and prepare for her urban space. Containers of all sizes! Furniture! Useful and pretty things! Ginny has great taste, and the perfect addition to your garden may be waiting for you in Creswell. 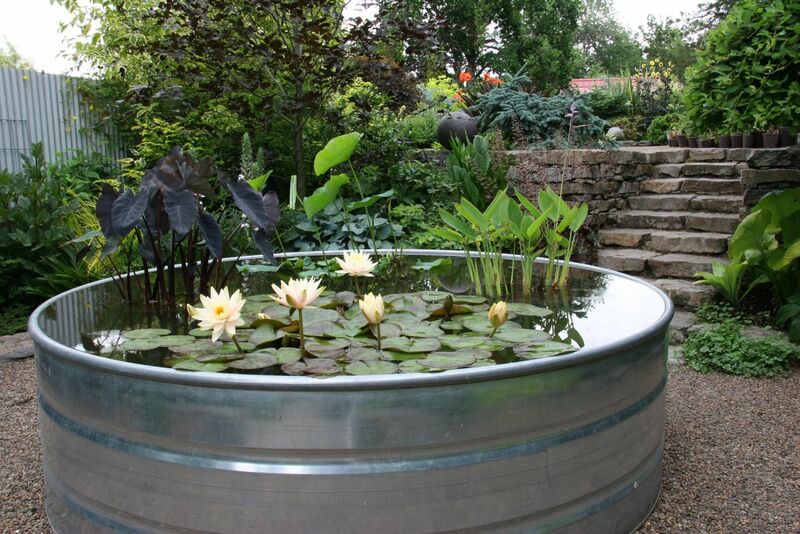 If nothing else, it's a great excuse to see one of our area's best gardens. 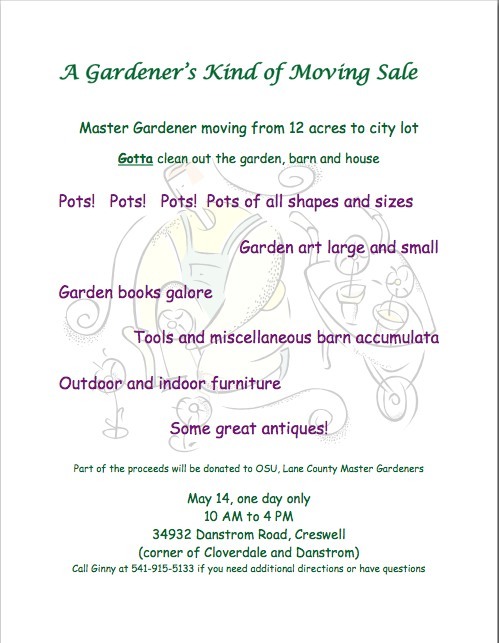 Part of the proceeds benefit the Lane County Master Gardeners. More information below. The Plant Sales Are Coming! It's that magical time of year again, when the best specialty nurseries in Oregon flock to Eugene for a one-day plant extravaganza.... On May, 7, grab your mom for a Mother's Day Eve outing and find your new favorite plants! The Willamette Valley Hardy Plant Group sale is in the Auditorium Building of the Lane County Fairgrounds from 9am-2pm. More information here. The Avid Gardeners Plant Sale is also 9am-2pm (where to go first?!?) at Alton Baker Park. More information here and on their cute poster at right. Plant group members and potential members, take note - volunteers get first dibs on plants, so pitch in! 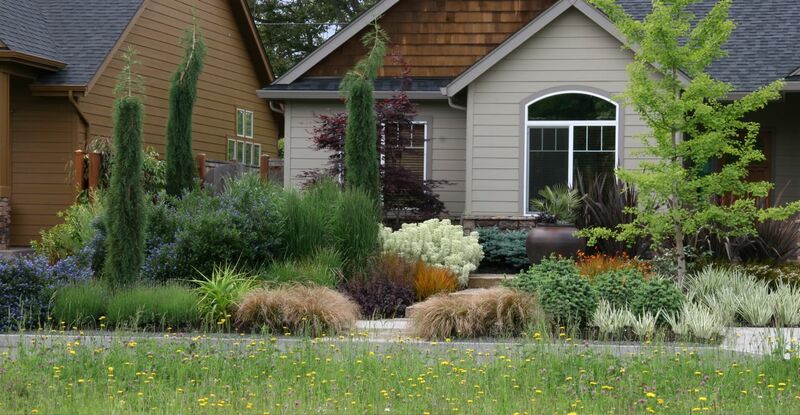 Our friend and client Joy Gregory is moving out of town, and her wonderful North Eugene house and garden are for sale. We are sorry to see her and her awesome son leave Eugene, but we have no doubt that they'll take their new home by storm. We wrote the garden in our first newsletter, and you may remember the garden from Sunset, the Register-Guard or Pacific Horticulture (you can find an article or two on our press page). If you happen to be shopping for a great house, neighborhood and garden, take a look! Dear gardening friends, Below is an invitation to my solo show at the David Joyce Gallery at LCC. I hope you can drop by for the festivities. The show is up now and will be through the summer. 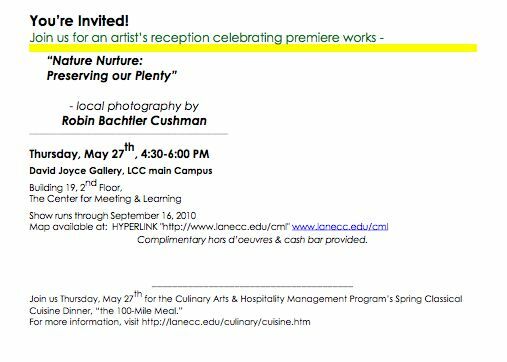 Susan Detroy curated the show and the LCC culinary arts department will provide hors d'oeuvres. The opening coincides with the "100-mile Meal" put on by culinary arts students. All the foods come from within 100 miles, some from their own LCC Learning Garden [Mosaic note: a member of the culinary school faculty shared that the students did such a great job sourcing ingredients for the meal, that all ingredients actually come from within *30* miles - wow!]. They felt my work would complement the theme, as all the images are from the bountiful Willamette Valley. In addition to my garden/farm/market photos, I am exploring two new areas of foods – produce revealing more through being back-lit (think stained glass) and a series of "frisky fruits and voluptuous vegetables." 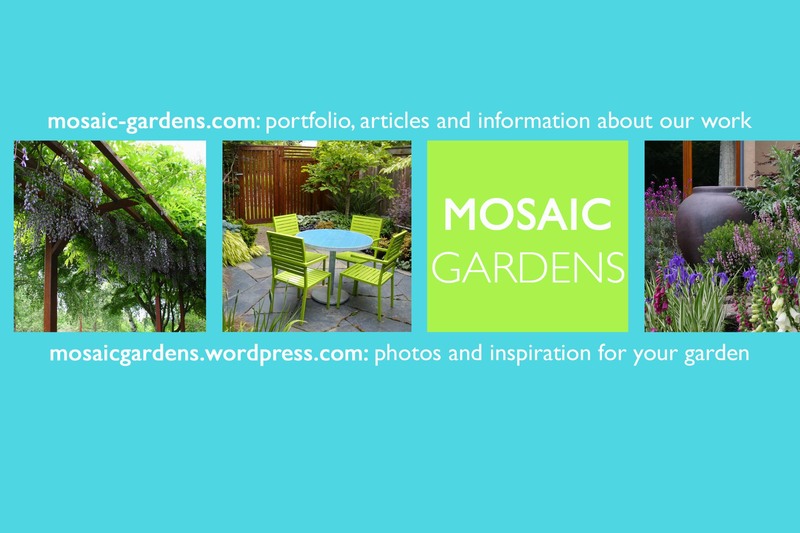 If would like to be on our postal mailing list, please send your mailing address to mosaic (at) mosaic-gardens.com. If you'd like a heads-up about newsletters and Mosaic news, like new publications and events, join our e-mailing list here. We write once or twice a month, at most (we're not a fan of spam, either), and, again, we will never share your personal information. Nothing is permanent - If you would ever like to unsubscribe from any of our mailing lists, we will be happy to immediately and permanently remove your name and information. Just contact us any way you like, and we'll only contact you once more to let you know that we've fulfilled your request. Don't forget about the Hardy Plant Group and Avid Gardeners plant sales tomorrow! Make a date with your mom or your best plant buddy! Eugene's two biggest, baddest plant sales are coming on May 8. Both sales will have an incredible selection of plants from fantastic nurseries. The best plants go fast, so arrive early and work fast! Click on the links for more information. 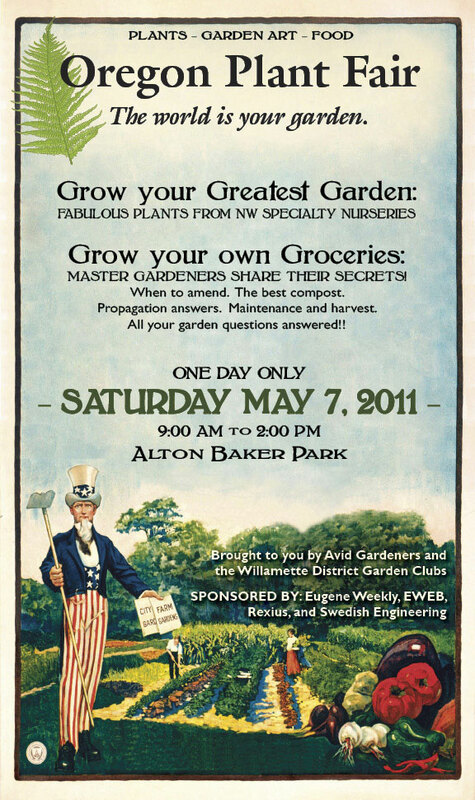 Our friends at Northwest Garden Nursery are holding their annual Open Garden and plant sale! This wonderful little nursery and its big display garden are only open to the public only a few days a year. 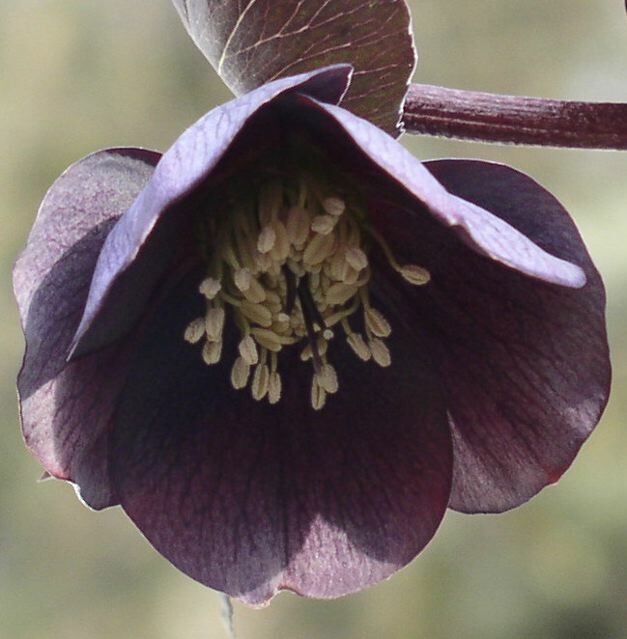 Ernie and Marietta O'Byrne have spent years developing the most gorgeous strains of Hellebores, with attention to the tiniest details of foliage and flower, and working in their inspiring display garden. The garden is full of rare and wonderful plants, combined with an eye for subtle, but striking combinations of color and foliage texture. Helleborus orientalis and related hybrids are a mainstay of our plantings. Their glossy, dark, evergreen foliage enriches shady to partial sun plantings, even those that are heavily browsed by deer. We love to plant them in groups of 7 to 40, contrasted against a block of lighter or silver foliaged plants, such as Brunnera 'Jack Frost.' Their foliage alone would be good enough for us, but the stunning flowers are a magical addition to the late winter garden. Caring for Hellebores couldn't be easier. In winter, before or just as the flowers emerge, cut off the old leaves. 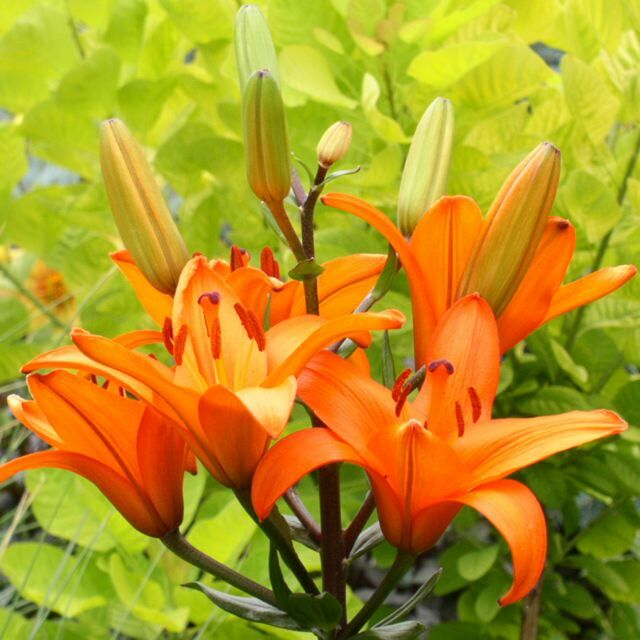 When the flowers start to fade and set seed, cut off the whole flower stalk (with any leaves directly attached to it), leaving the new leaves that emerged after the flowers. These two simple steps will keep your Hellebore patch healthy, full and happy for years to come! Make a date to visit Northwest Garden Nursery with your best plant buddy in the next few weeks, and start or add to your Hellebore collection. Beginning March 11 they are open regular hours on Thursdays, Fridays and Saturdays from 10:00 a.m. to 5:00 p.m. through the end of March (March 27). Click here for directions and a map to the nursery. Garden photographers live for forecasts like tomorrow's - mostly cloudy with a high of 73. 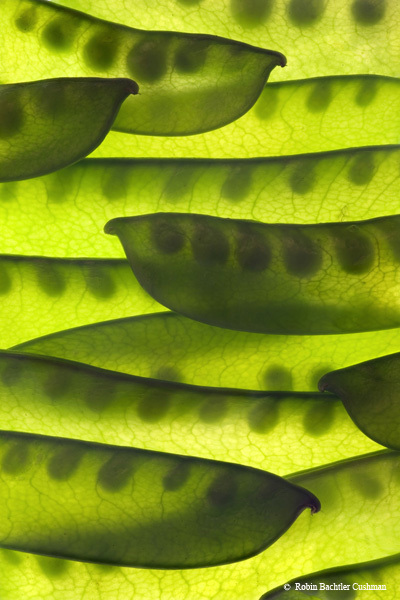 The plants will love the comfortable, but not-too-warm temperatures (us too! ), and gardens look their best under a little cloud cover. It's shaping up to be a great tour. With the Eugene Symphony Music in the Garden tour coming this Sunday, it seems like a good time to share a short photo history of our space! We began hardscape construction in fall of 2002, put the first plants in the ground in 2003. The ipe deck we installed in 2004 completed the garden's structure, but a garden is never finished. We make large and small changes to the plantings every year. Our garden has been featured in Garden Design, Sunset, Pacific Horticulture and Fine Gardening magazines. A few of those articles are available on the press page of our main website and offer a much more complete account of the design of our space than we can offer here. For now, we just hope to entice you to visit the garden and support a great cause this Sunday! Please join us for the Eugene Symphony Guild's Music in the Garden tour on Sunday, June 14, 10am - 4pm. 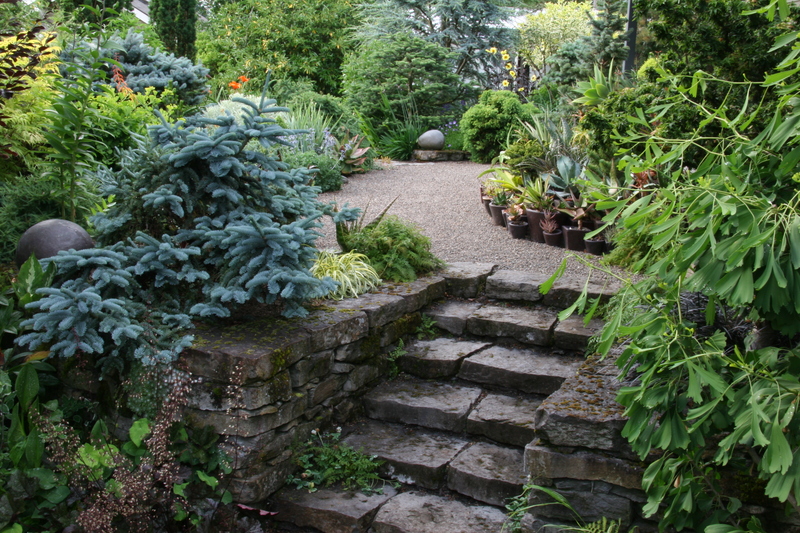 The tour will feature seven terrific Eugene Gardens, including ours, as well as music, food and a plant sale. Advance tickets are $12 and available at many local nurseries, including Down to Earth, Gray's, Jerry's, Johnson Brothers and Little Red Farm. Tickets are also available on the day of the tour for $15. We will be available all day for questions and conversation. We hope to see you then! Our friends at Gossler Farms are having an open house today through Sunday! Roger and the gang are some of the most knowledgeable plantspeople anywhere, and the selection and diversity of their stock is amazing. I'm sure the display garden is big and beautiful right now, too! Make the drive out to 1200 Weaver Rd in Springfield to check out all of the magnificent and unusual perennials, trees and shrubs. Are we lucky to live in Oregon, or what? 9-5, today through Sunday. For more information, call 746-3922.